Due to weather, we have pushed our opening day festivities back to April 20th. (Note that some teams will have games before this day.) Join us for opening day games across all HYAA divisions. Picture day will take place at Cedar Grove Park, Field #3. See the times here. Wool E. Bull will make an appearance! 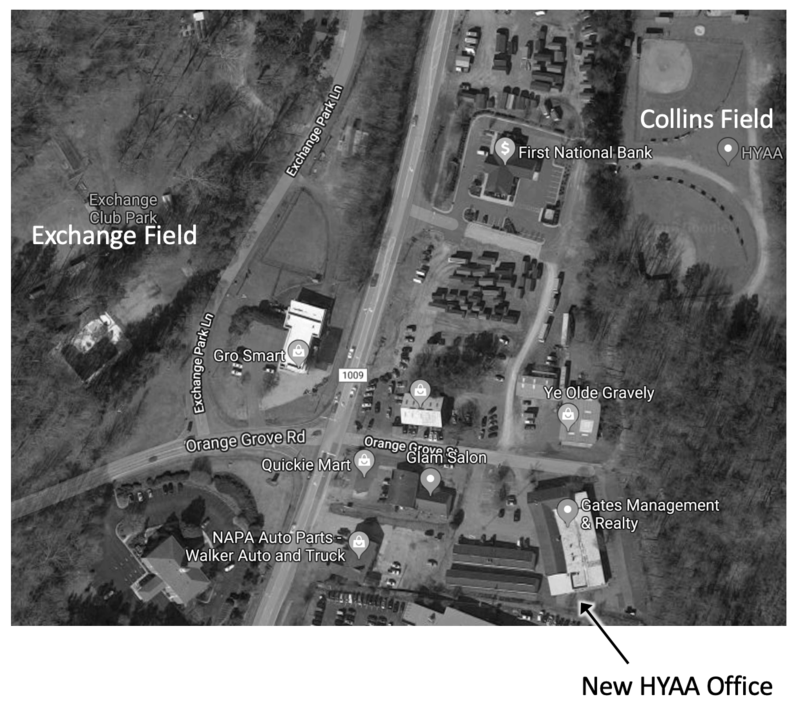 We have moved into the new HYAA offices at 220 Orange Grove St, around the back of the building. Hawks apparel store now open! Do you own a local business? Would you consider being a sponsor for HYAA? Take a look at our sponsorship package for more information. Rules for bats have changed! Starting in 2018, HYAA, along with its parent Cal Ripken / Babe Ruth organizations, is using the USABat standard.